One question we get asked a lot is “what type of fire can I have when my house doesn’t have a chimney?”. The answer is often surprising and very positive, there are actually a few options for homes that do not have a chimney and there is no reason why you cannot enjoy the benefits of a stunning fireplace just like any other home. The first, and fairly obvious choice of fire for chimney-less homes is an electric fire. These fires do not need any kind of flue as they do not produce any kind of smoke or gas. The range of very realistic electric fires these days is huge and for a lot of people this is a very viable option. If you do not have a chimney you can have a flue installed that goes up an external wall or up through the roof and out. The twin walled aspect is simply the construction of the flue itself. If you want a real wood burning stove then this kind of option allows you to have that. The flue can even be built into a fake chimney stack outside the house if the idea of exposed metal work isn’t suitable. 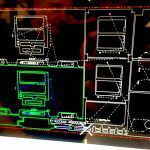 This type of system does depend on having access to an external wall. Yes, you can have a gas fire without a flue. These rather clever fires can either use an in built catalytic converter to filter any gases. 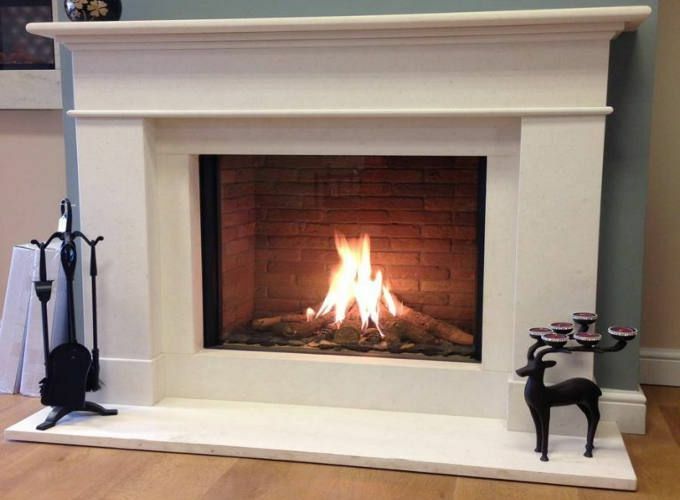 Flueless gas fires are a very interesting option for people with no access to an external wall. Of course, this type of fire needs a gas supply in the room in question. These very clever fires simply use two small pipes to exchange the gases and pull in air from outside. Once again, access to an outside wall is needed as is a gas supply. However, given those tow things these can be a very good option for having a real gas fire in a home with no chimney. If you are looking at your options in regards to getting a fire installed in your Surrey home and you do not have a chimney please get in touch and our friendly team can help work through the choices with you. There is no doubt modern electric fires are a million miles away from those many people will remember from the 80s and 90s. Gone are the cheesy plastic fake coals and the all to obvious fluttering strips of material behind a screen. While they may have been OK in days gone by they would not cut the mustard now and that’s a very good thing. 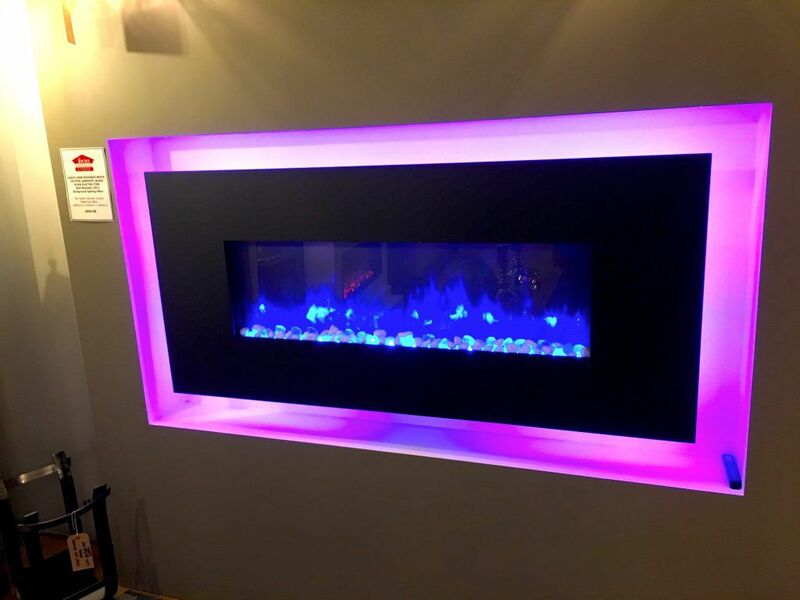 Electric fires are now a very serious option for a number of reasons but one of the really big ones is that they look amazing. One of the really big advantages of choosing an electric fire is that you do not need a chimney, which is handy when it comes to flats and new build homes. 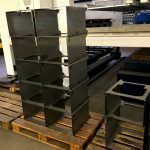 This means they can be installed in different places without being constrained by a flue. 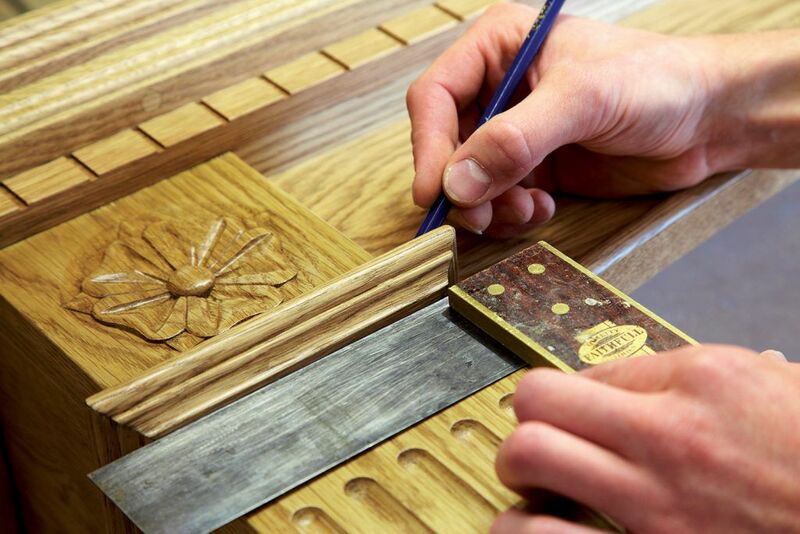 They are also normally simpler to install in general so can be a cheaper option depending on where you want it and what may need to be done to fit the fireplace. The actual cost of heating will be looked at later but the running costs of electric fires are low. 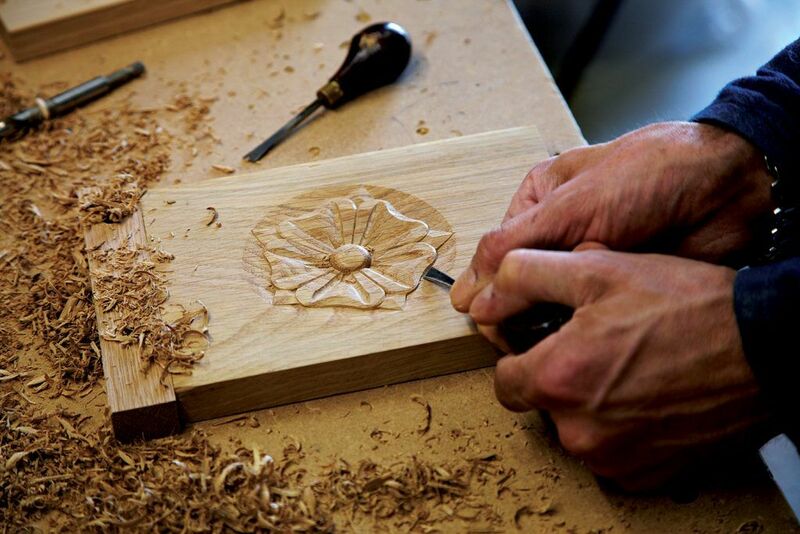 By running costs we mean maintenance and upkeep. 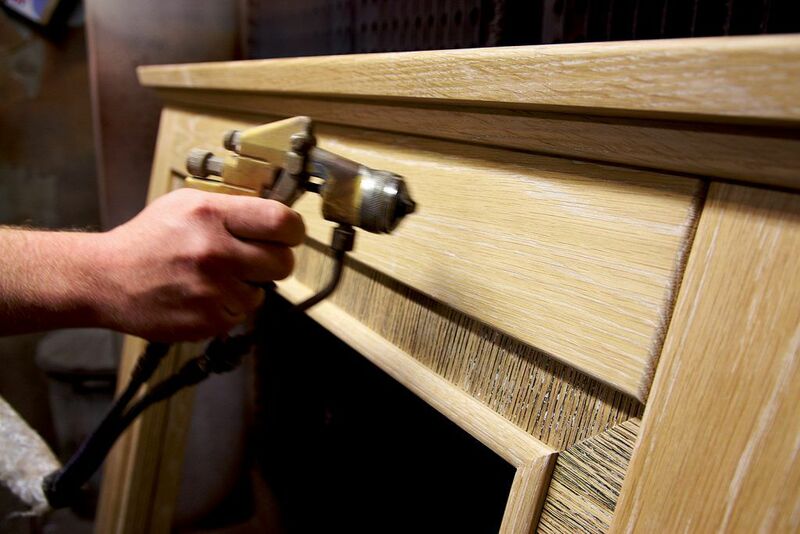 They do not need to be cleaned and swept like a real fire, they do not need the same level of servicing as gas fires and with modern LED lighting the bulbs don;t need to be changed for a very long time either. Keeping an electric fire looking good is as simple as dusting and cleaning anything other item in your home. As we continue to move towards a greener and greener energy culture an electric fire can be a great choice. They can be run with no heat so you can enjoy the visual effect for a tiny amount of money. But they can also be used to give warmth very efficiently. If you were to choose a renewable energy supplier you could in fact, heat your lounge in an almost totally sustainable way. There really aren’t any real negative aspects to an electric fire but there is, perhaps, some personal taste involved. At the end of the day an electric fire does not use a real flame. This, for some people, means they may look at Gas or a real fire. But we often find that when people come into our Surrey showroom they are blown away by the realism of the electric fires we stock and quite often the pros soon outweigh this small negative. 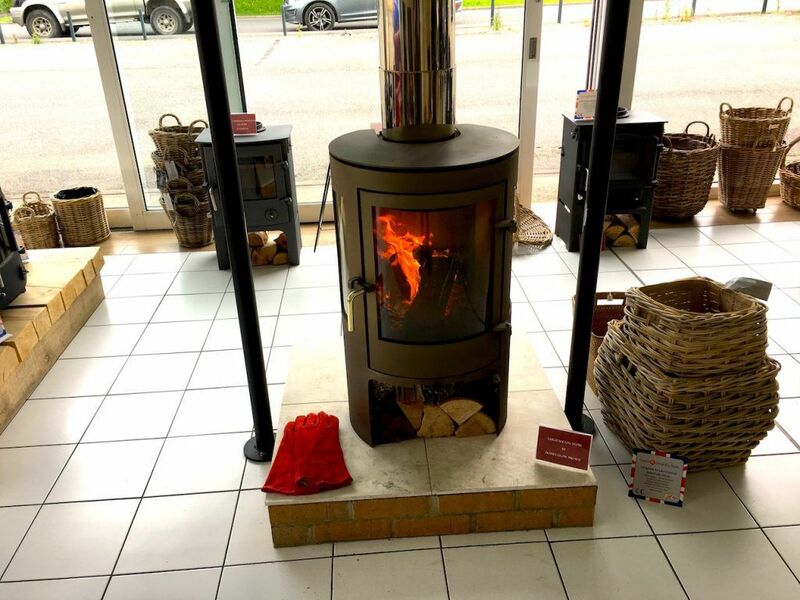 As with most types of fire there are a lot of different design choices so why not get in touch and speak to our friendly team or pop into the showroom and find out more. 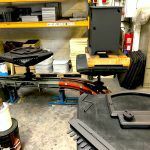 It’s always a pleasure to be invited to see a manufacturers showroom as it can be hard to visualise the products in a catalogue but seeing them in the flesh can make a product stand out. 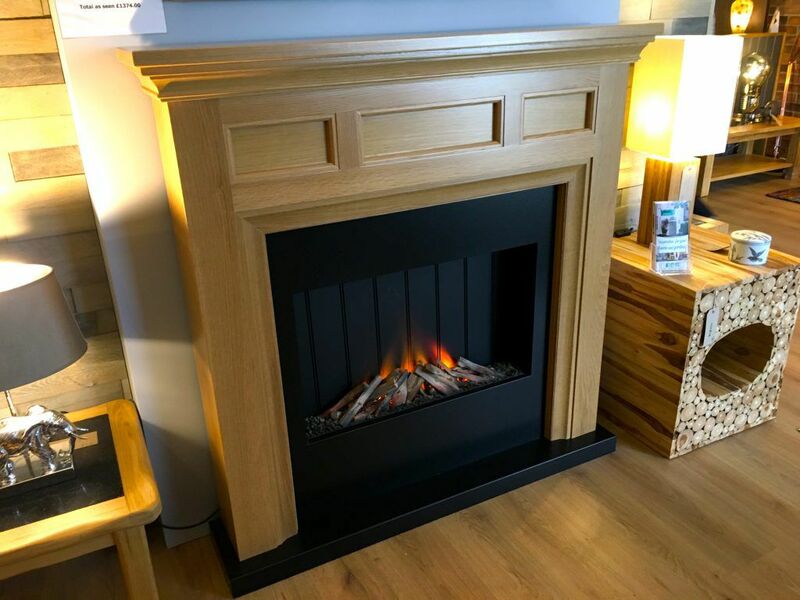 The Focus Fireplaces showroom was filled with great examples of surrounds and beams that had been put with some outstanding fires which made the products from Focus Fireplaces really shine. 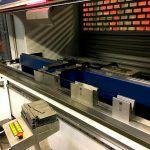 Having a tour of the workshop allowed us to fully appreciate the in house production of their wooden beams and surrounds, along with their quick and efficient delivery system which all happens in the same building. 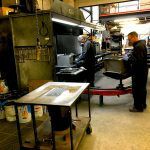 It’s easy to see why the products from Focus Fireplaces are of such a high quality when the production process is the efficient and streamlined. 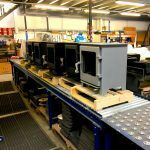 The amount of work done by hand did come as a surprise, considering the intricacy of the designs and the amount of automation most companies use these days, which makes Focus Fireplaces a special company when it comes a high standard of hand crafted products. 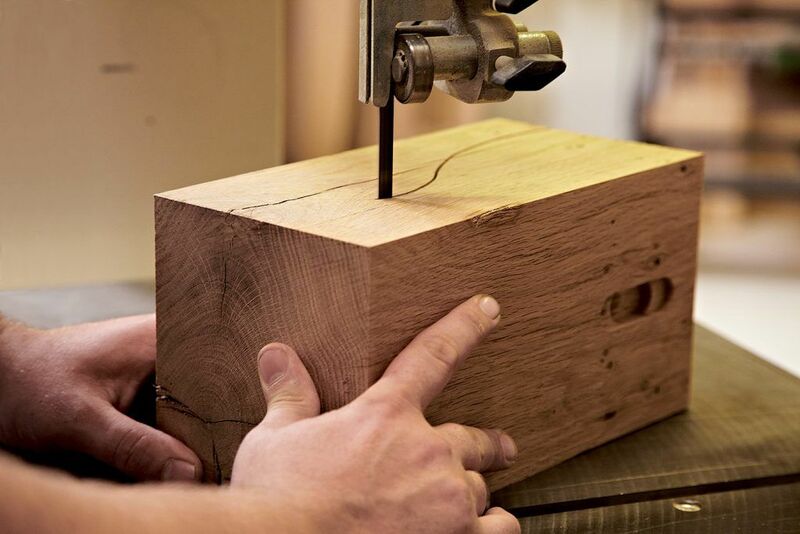 With the office and workshop purposely situated in the same building, manufacturing is smooth and efficient with every surround and beam made to order. 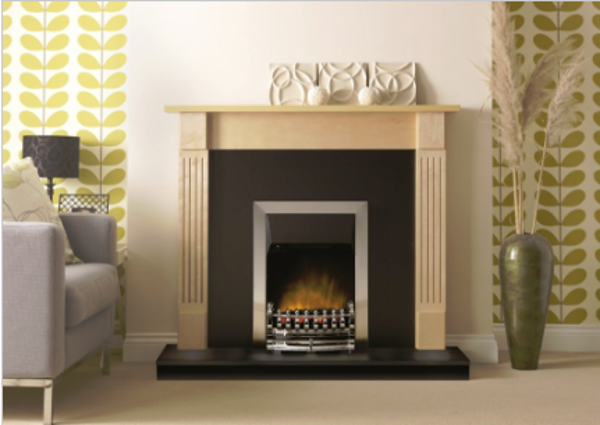 For more information on Focus Fireplaces you can visit their website here or alternately you can call or visit our showroom. 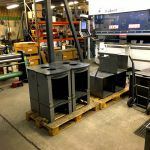 When installing or owning a fire, fitting protection can be seen as an extra cost that seems un-warranted and it can be hard for installers to stress the importance of fitting rain and bird protection to the top of a chimney. 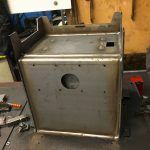 Recently we were asked to help replace an old inset gas fire that had been condemned, we were more than happy to help this new customer with their fire troubles and see if we could either fix or replace what they currently had. When we arrived at the property to get an idea of what would need to be done, some tell tale signs started to become apparent. 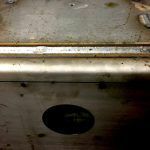 There are many reasons an appliance may stop working correctly, from appliance issues to chimney issues and figuring out where the problems are can involve some investigating but can help to avoid more trouble in the future. 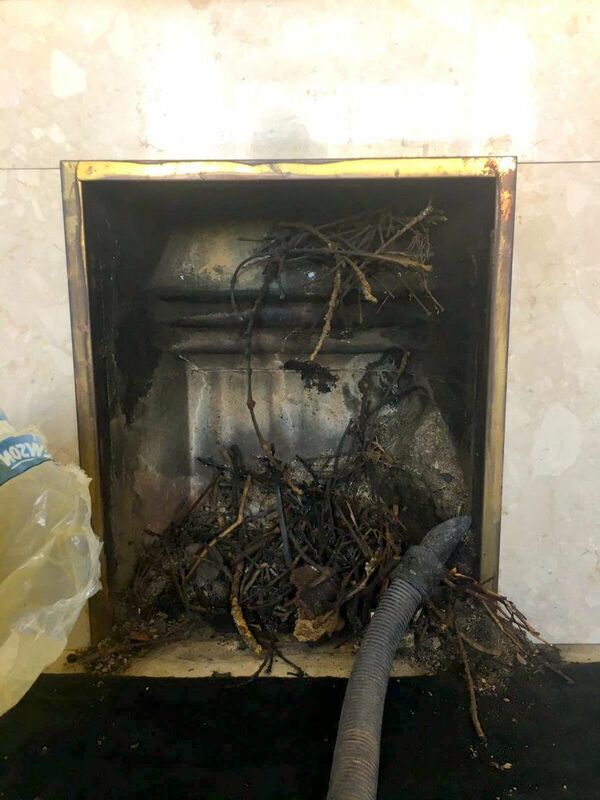 The old gas fire in this customers property had some twigs and leaves that had fallen through the chimney onto the burner, this can be quite dangerous, especially if a fire is running when these fall down. Current gas fires have built in safety measures to shut the fire off if there is an issue with the appliance, older fires don’t necessarily have these features and can therefore be dangerous if the appliance and chimney isn’t cared for. 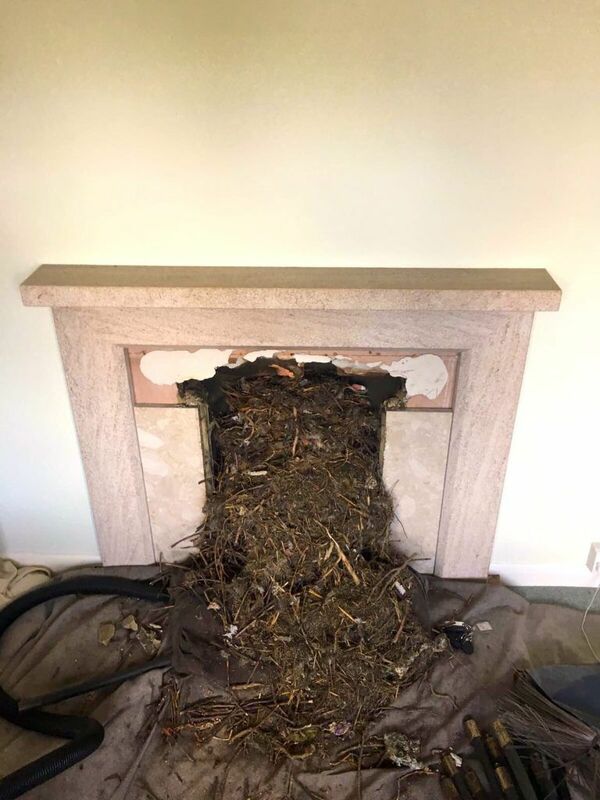 The twigs and leaves were a sign that a bird had likely made its nest in the chimney, a common issue with un-protected chimneys. A sweep like this can be a lengthy and expensive process that is easily avoidable by adding protection to the top of your chimney. 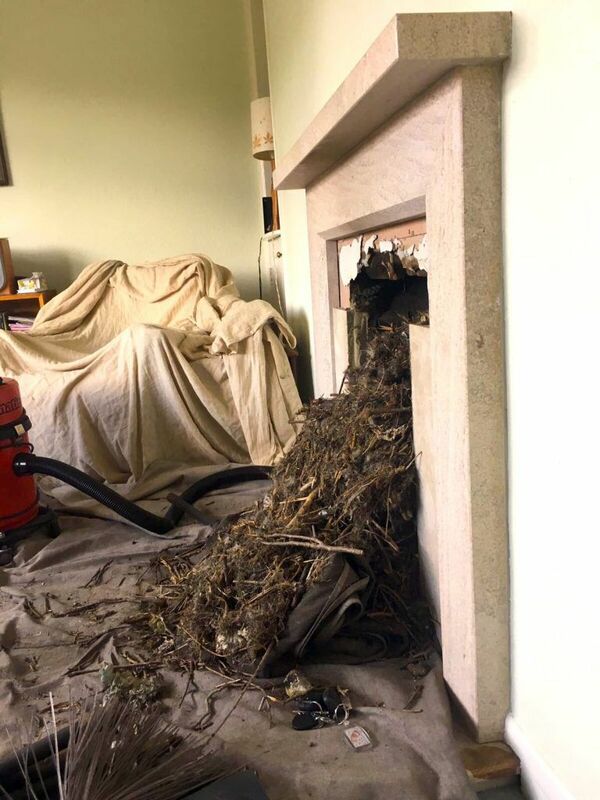 It took the chimney sweepers from ‘Cleansweep’ an hour and a half to fully unblock the chimney and remove the birds nest from the property. Adding protection can help to prevent birds nesting in the chimney, downdraught and rain, all of which are common issues with an unprotected chimney pot. For more information on protecting your chimney or to organise a chimney sweep, call or visit us in our showroom.